I have been in a bad place lately. Very bad. The last several weeks it's been hard to see the light, to feel any joy. I've realized that a lot of my feelings came from "playing the game". You bereaved mamas know, the game of life that society wants you to play. Without even consciously making the choice I fell into the patterns and roles that are expected. Laughing at the right places in conversation, smiling and making jokes, being busy and involved in life, not talking about grief and depression and babies that die. It turns out I wasn't able to balance this identity alongside my grief. As soon as my mind wandered "there" I'd shut it off, afraid I'd get emotional. The result was pure misery. Not only was I not being true to myself and my feelings, but I wasn't behaving like Emma's mommy. I was closing her away in a place where it didn't hurt so much. Perhaps that's what I needed in those moments, some time for my mind and heart to protect themselves against the constant weight and ache of grief. But in the end I felt worse, and guilty. In the early months my identity was solely based around Emma's death. 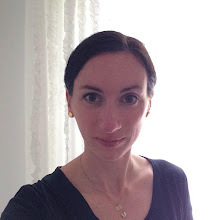 I lived and breathed blogs, research, support groups, and anything related to stillbirth. In the last few months it's been the opposite. I've tried to fit back into the mold of my old self. Neither of these identities can survive for long. 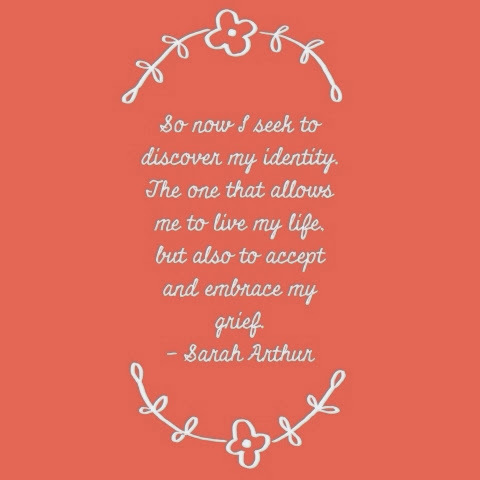 I cannot live the rest of my life with my only identity being that of a grieving mother, but I also can't go back to who I was, to act like I'm okay and "normal" when I'm not. So now, for the third time in eight months, I seek to discover my identity. This time the one that allows me to live my life, but also to accept and embrace my grief, and in turn my precious Emma. In the exact same spot right now. It's so hard once "normal" routine life takes hold. It's a daily struggle for me figuring out this "new normal" and the "new" me.